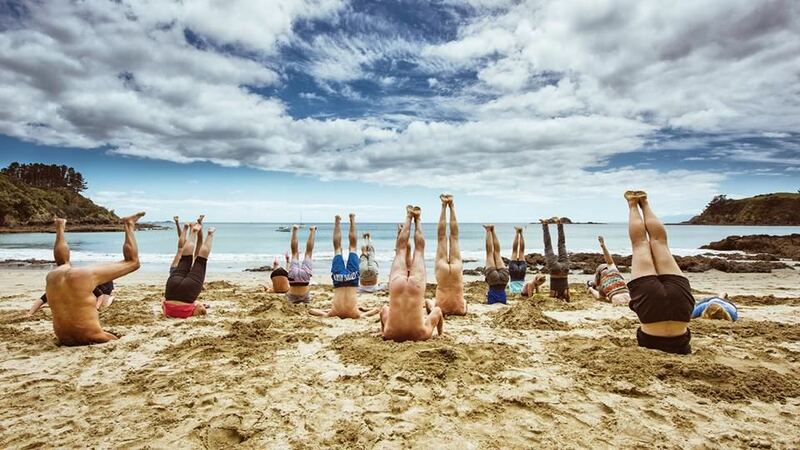 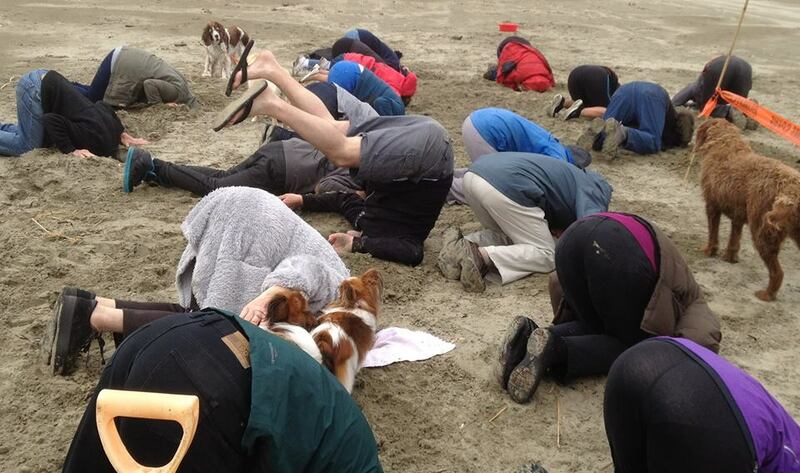 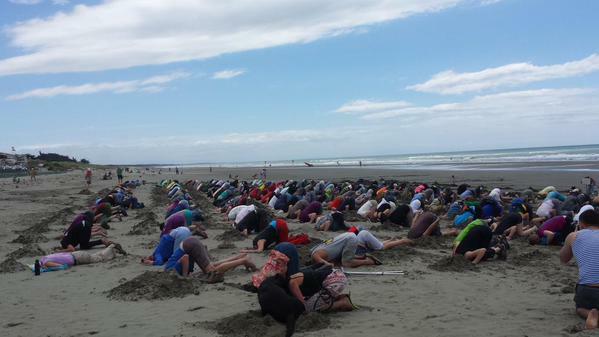 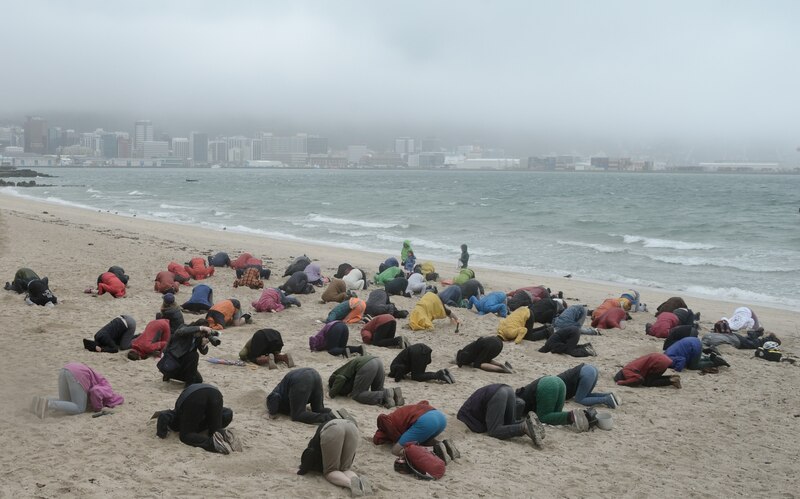 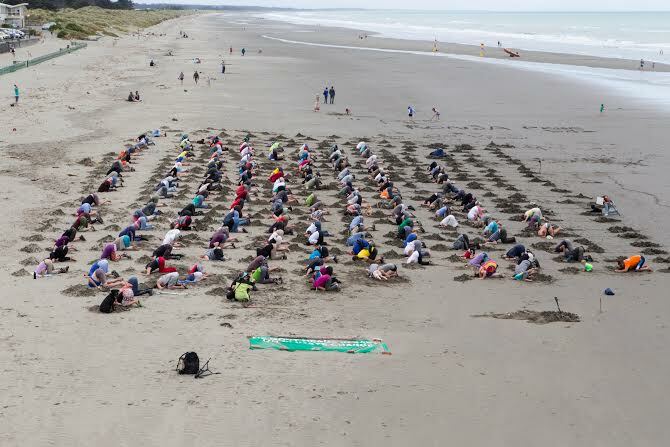 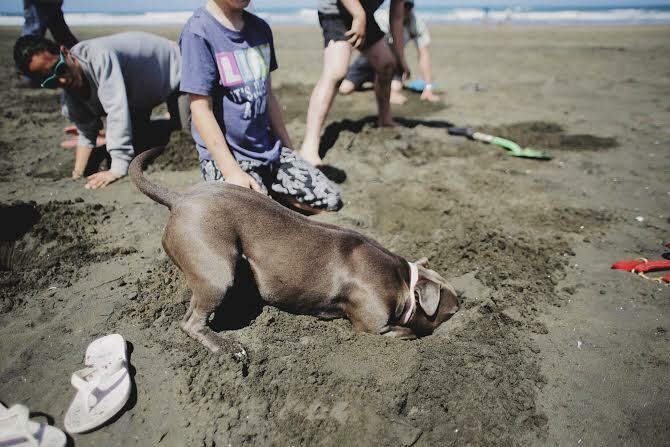 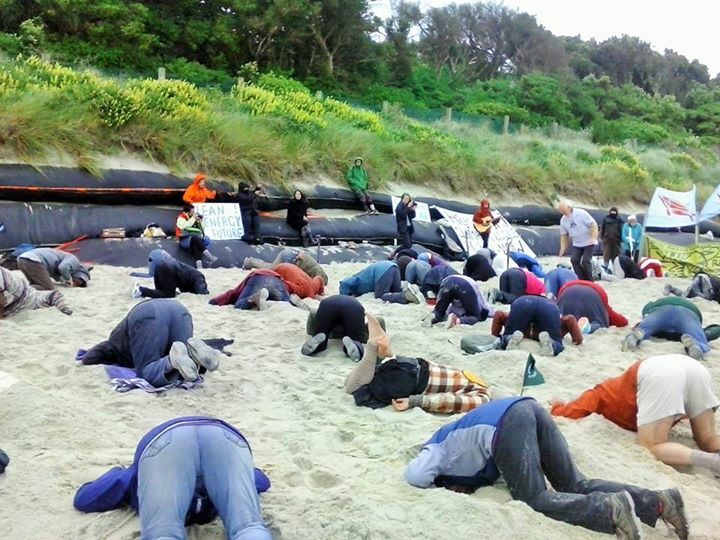 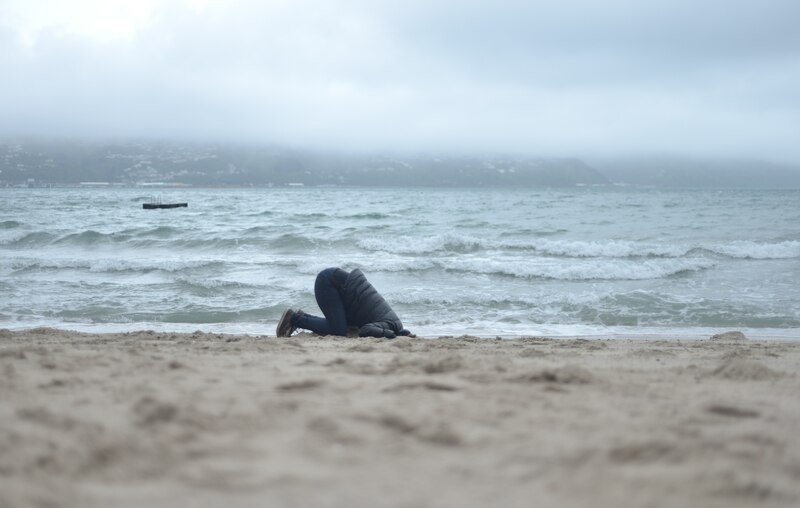 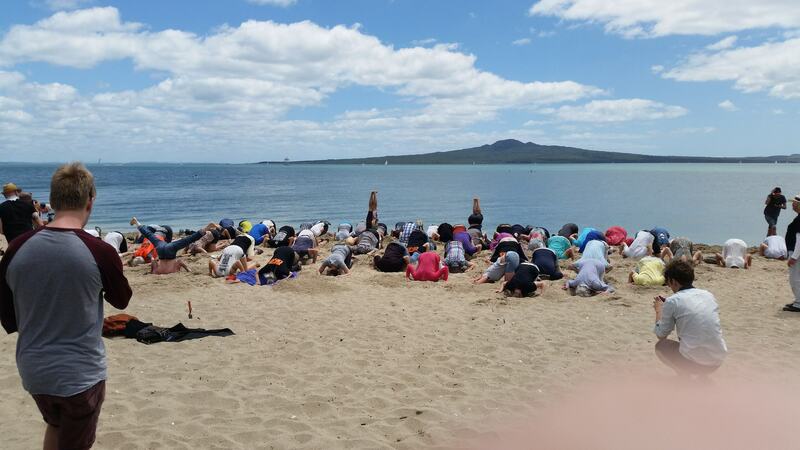 At least 12 Heads in the Sand events were held today – with Motueka as a late addition to the announced list – to give the Government an unambiguous message: get your heads out of the sand and start doing something real about climate change. 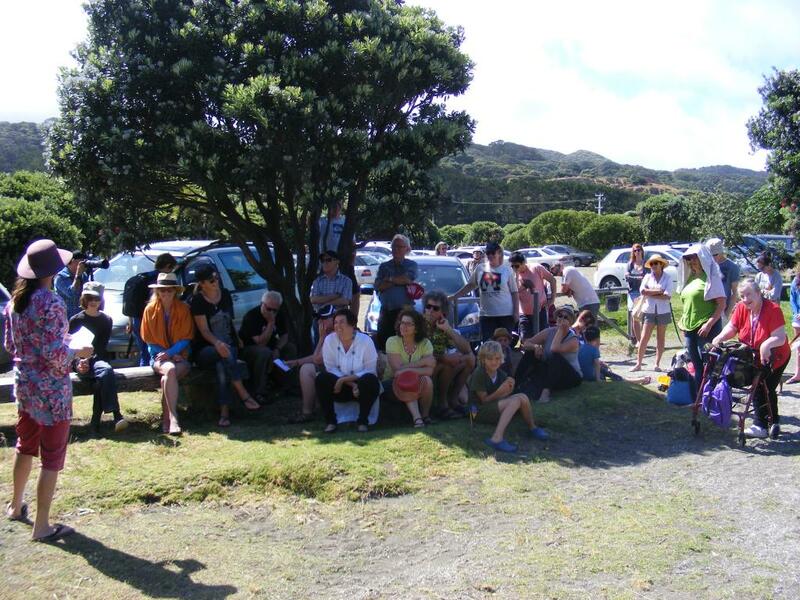 Images from those events will be appearing on Facebook, with a selection below. 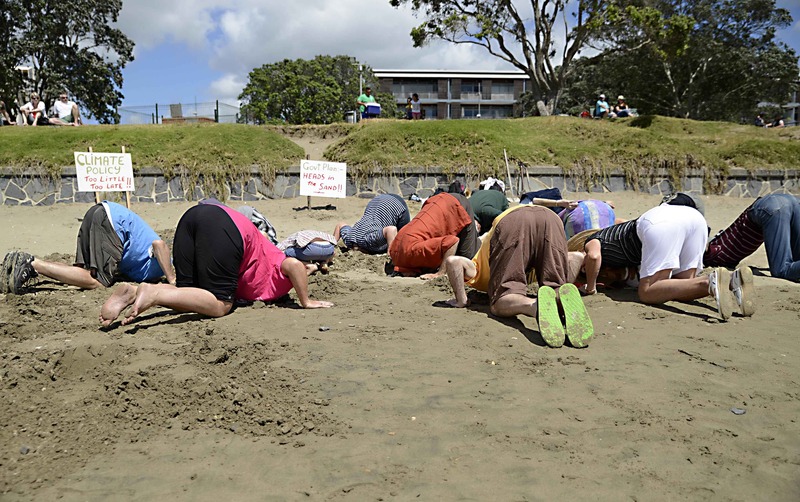 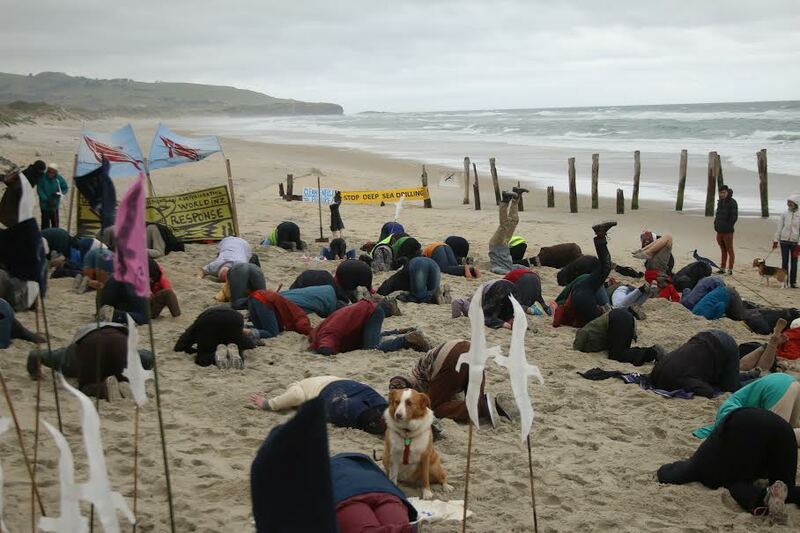 Images from Wellington’s event at Oriental Bay: whether it’s many of the close to 100 participants high up the beach or one activist daring the rising sea, the message is clear: get your head out of the sand on climate change, John Key.